EV Charging | Hi-Tech, b2b. Аутсорсинг продаж и управление проектами. 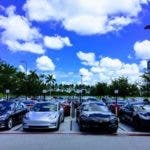 A survey by Realtor.com shows a correlation between home prices and proximity to EV chargers. Homes closer to public chargers sell for more money, the analysis shows. 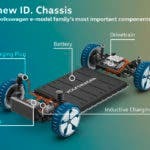 An internal memo at Volkswagen is calling for greater incentives for small, inexpensive electric cars, lower incentives for plug-in hybrid cars, and more government support for EV charging infrastructure. The proposals will not sit well with officials at Mercedes and BMW. The United States has been slow to adopt Electric Vehicles (EVs) compared to the rest of the world. While California leads the way in the US with EVs making up perhaps five percent of new vehicle sales, 58 percent of new car sales in Norway were EVs, and other nations across Europe are well on the path towards EVs being the norm rather than the exception. This is driven by a mix of incentives and initiatives from governments and the private sector alike. Why the difference?